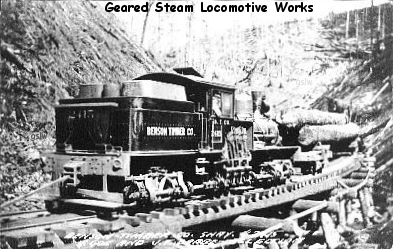 The locomotive operated near Davis, West Virginia. 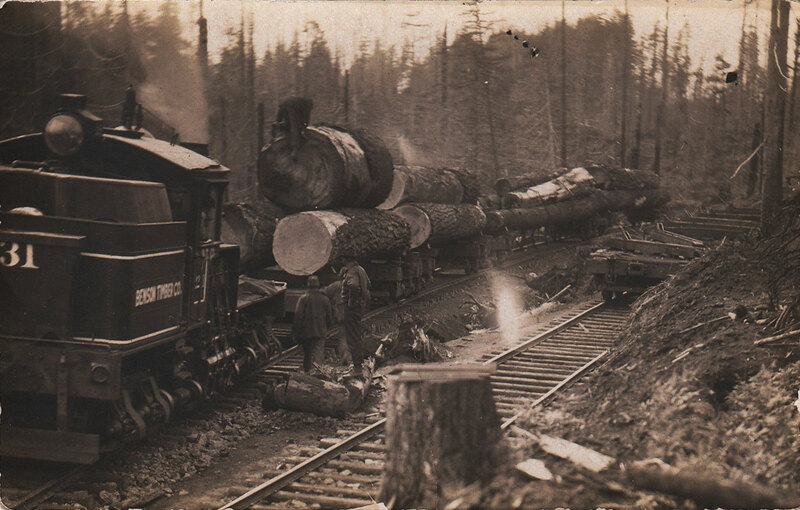 Baldridge Lumber Co. #2 - s/n 1999 - near Reedsport, Oregon in 1938. 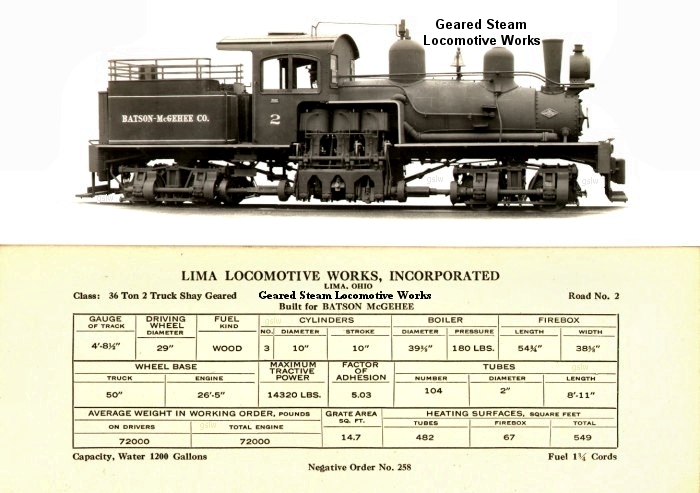 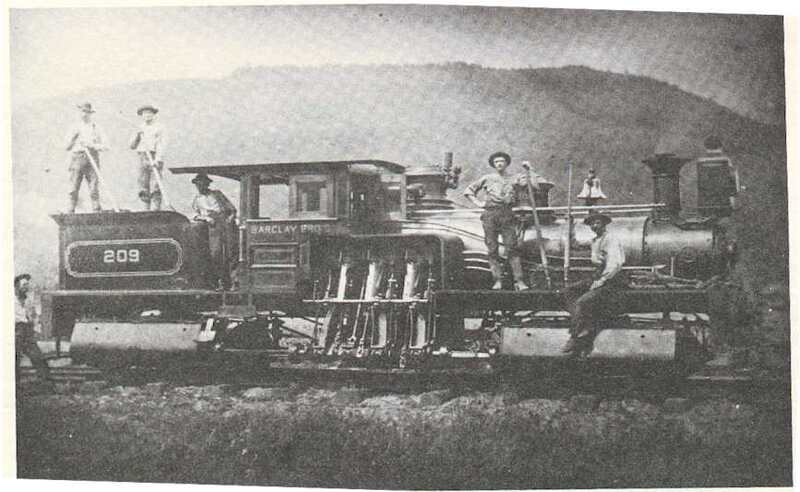 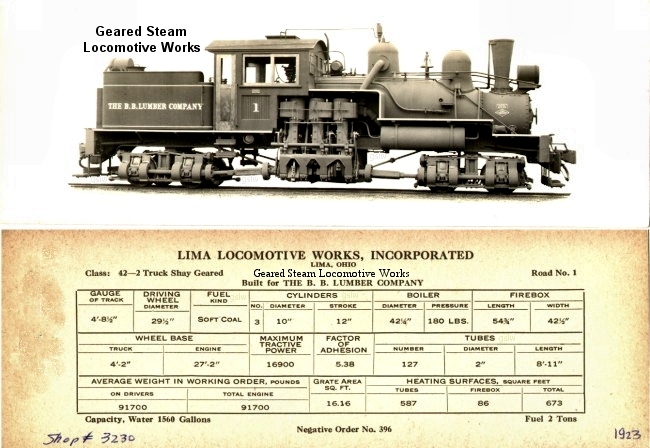 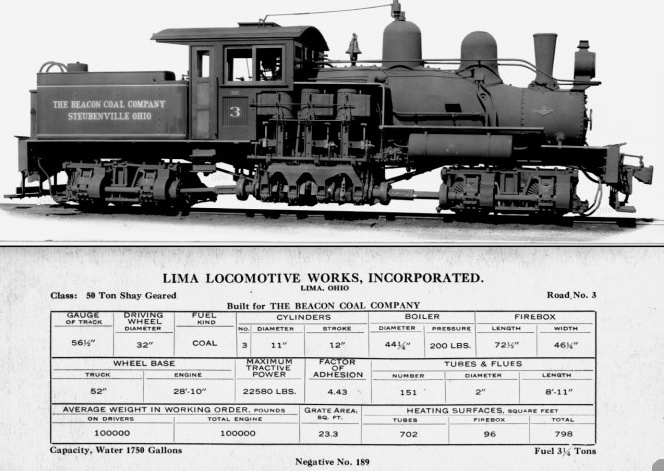 The locomotive operated near the company's Sinnemahoning, Pennsylvania location. 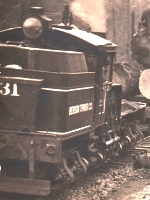 This is the company's second Shay with the road number #1. 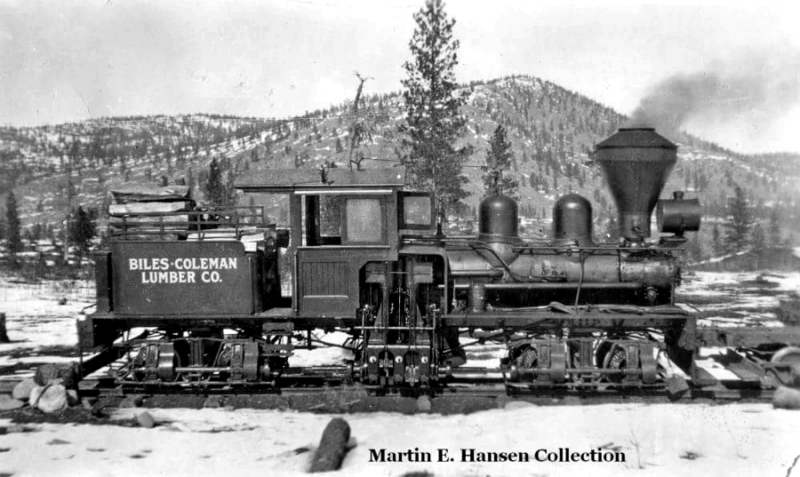 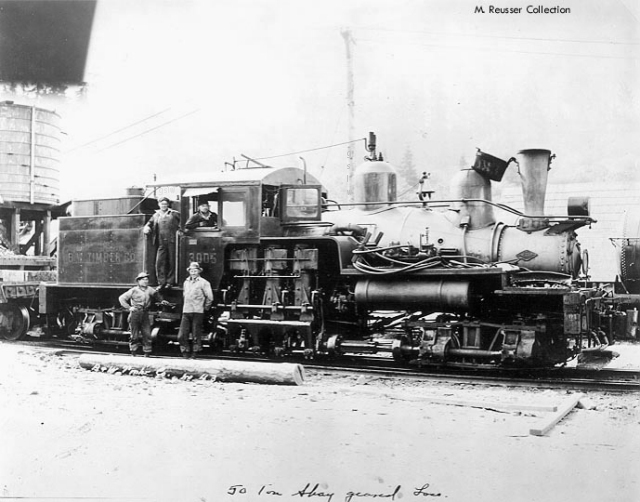 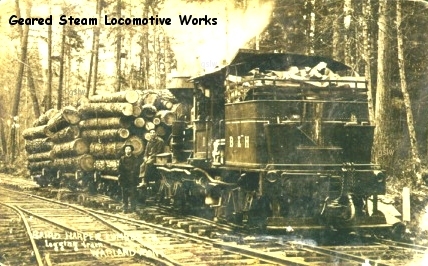 The lumber company traded the locomotive to Willamette, a dealer, for logging equipment. 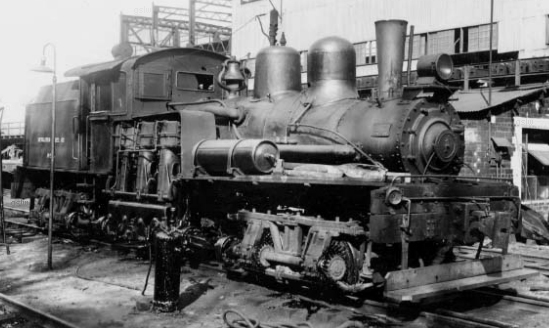 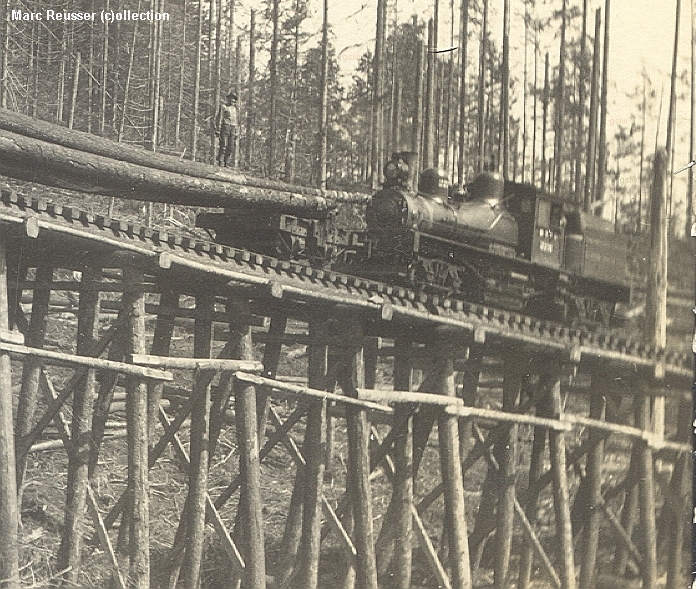 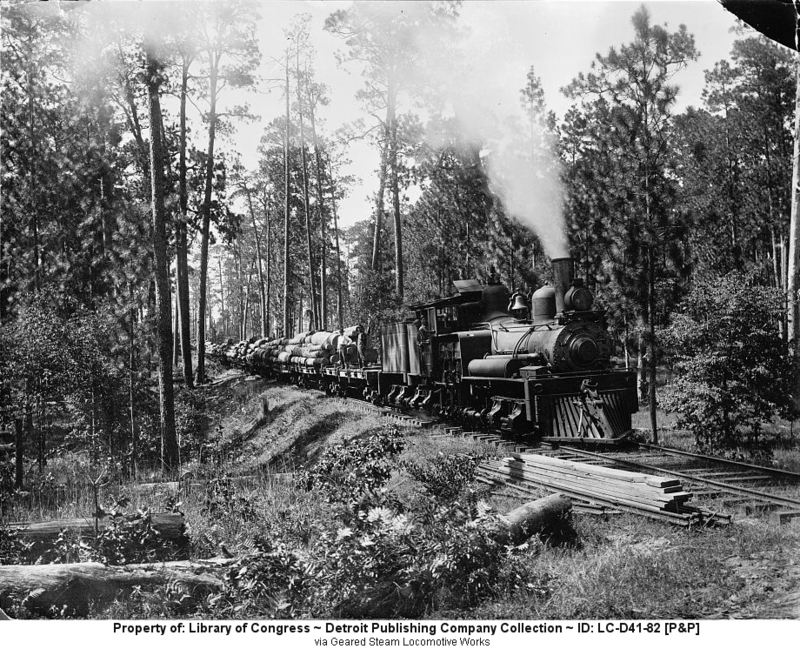 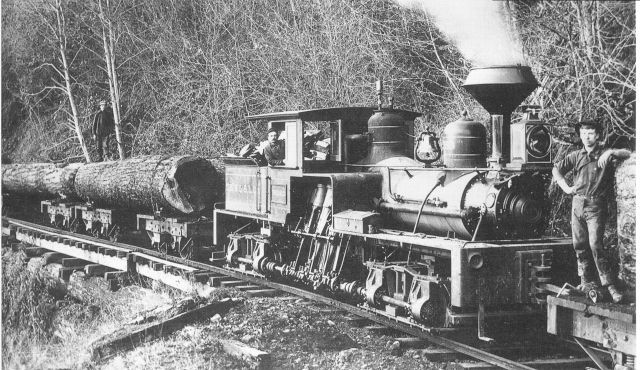 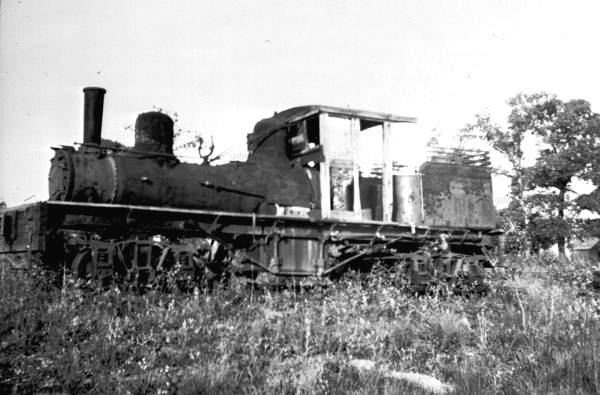 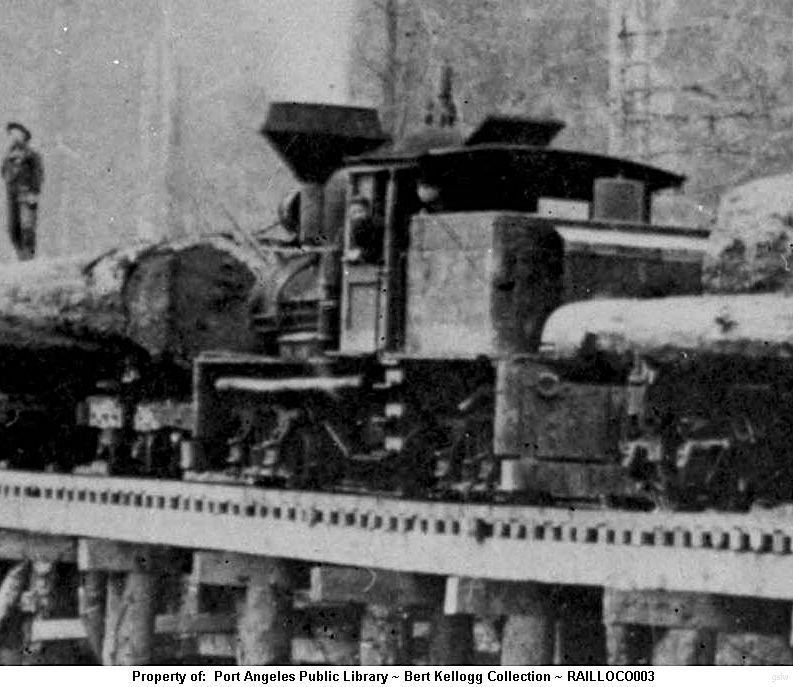 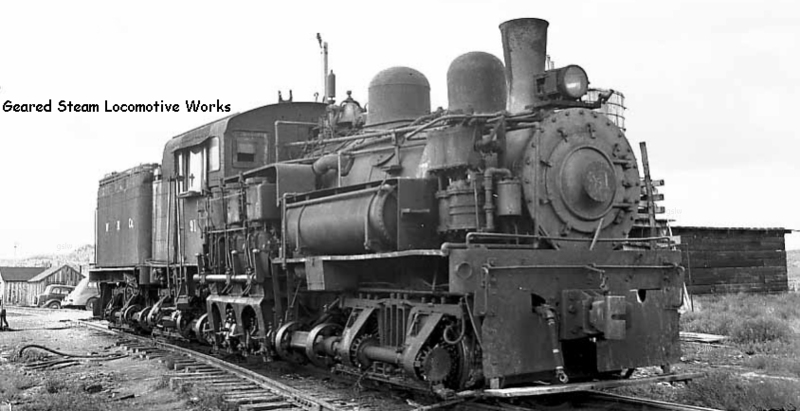 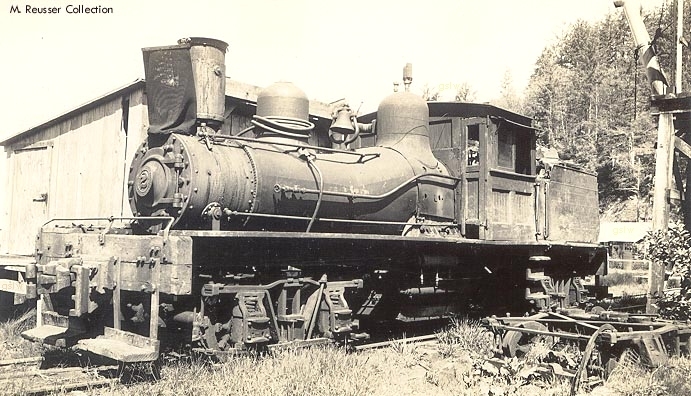 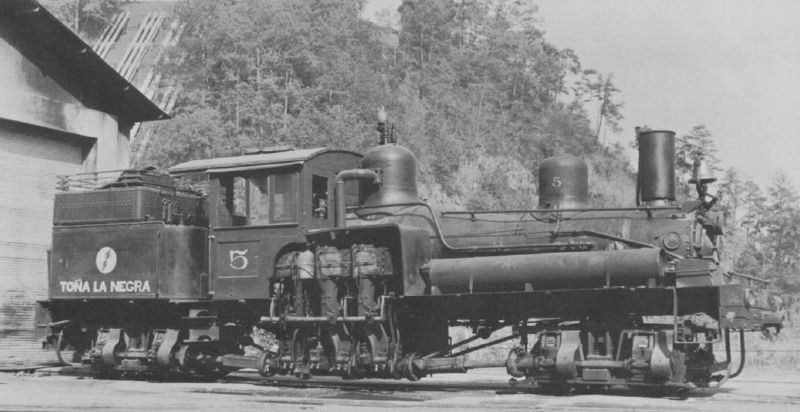 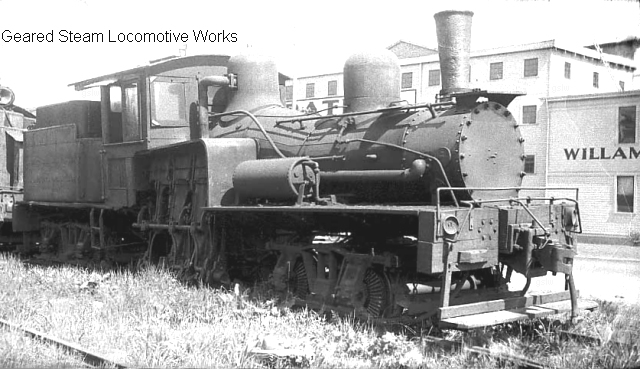 Photo from Railroads in the Woods p185 (with permission) - Note inward tilt of cylinders. 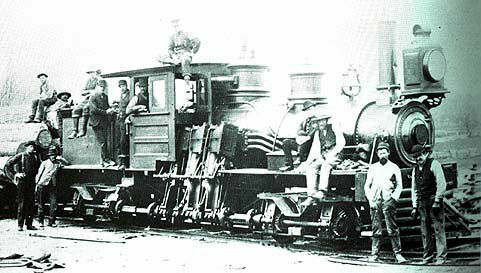 The railroad, owned by the Mexican Light and Power Co. of Beristain, Mexico, was used for the construction and maintenance of the Rio Nexaca hydroelectric plant. 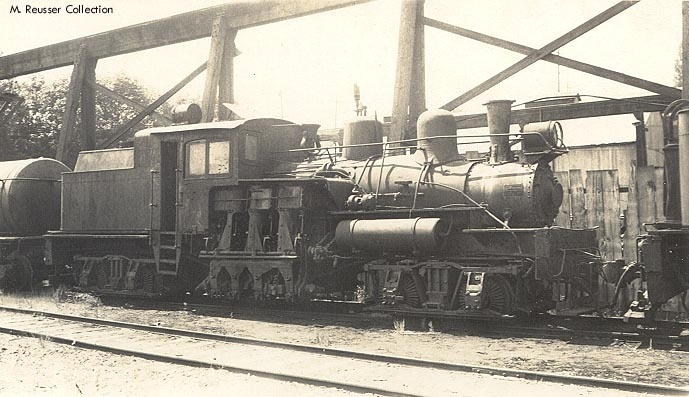 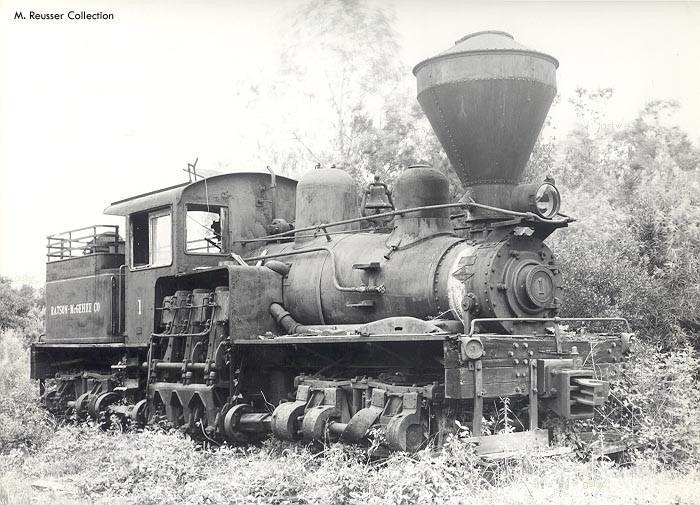 The locomotive was named "Tona La Negra". 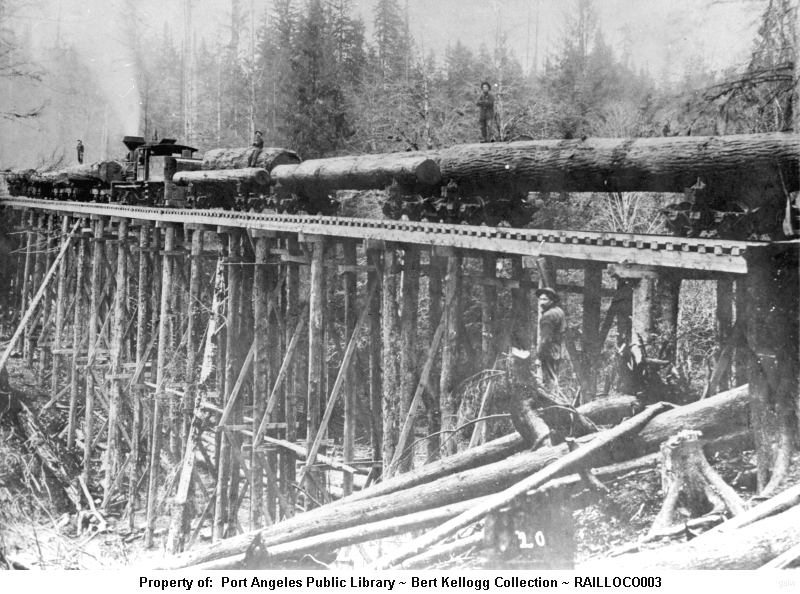 The locomotive operated near Knappa, Oregon. 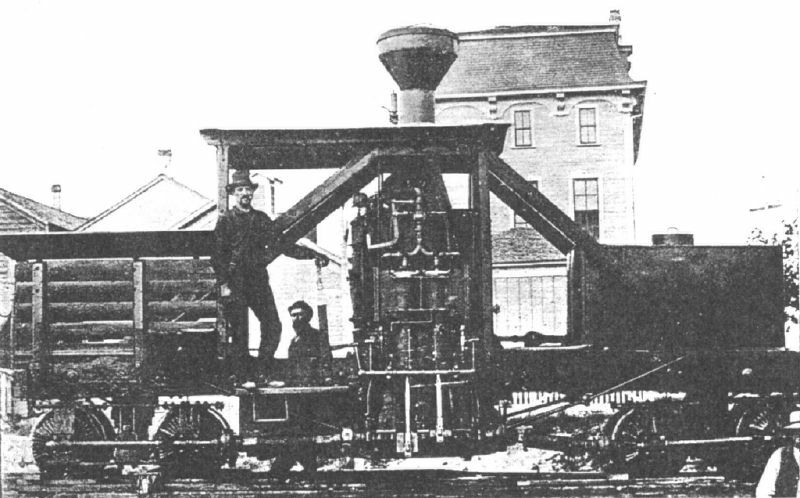 It is the "Oldest Surviving Standard Gauge Shay"
The locomotive operated near Sonestown, Pennsylvania. 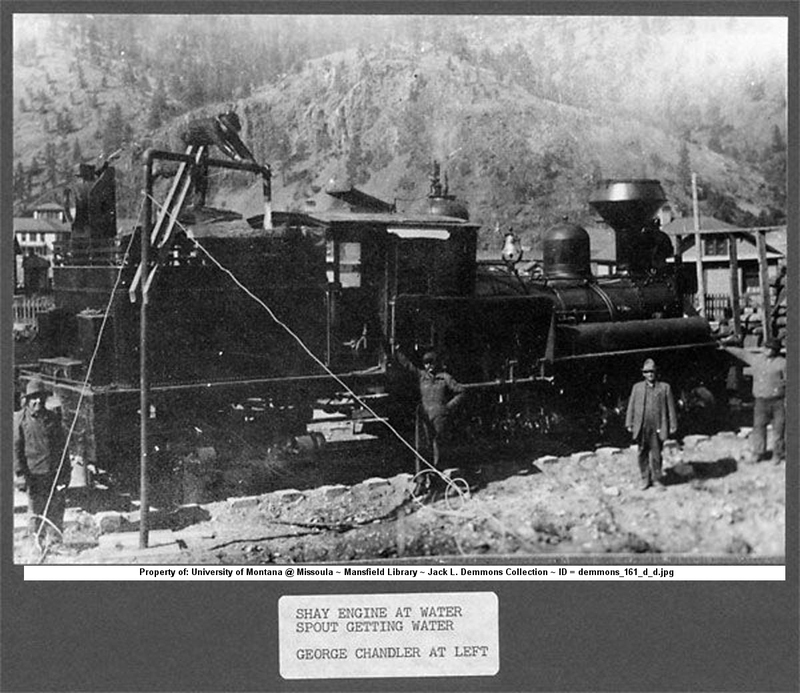 The photo is from the Thomas T. Taber collection. 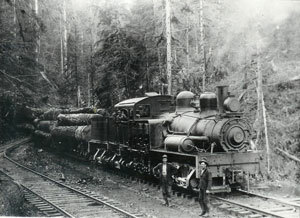 The photo is from the Marten E. Hansen collection. 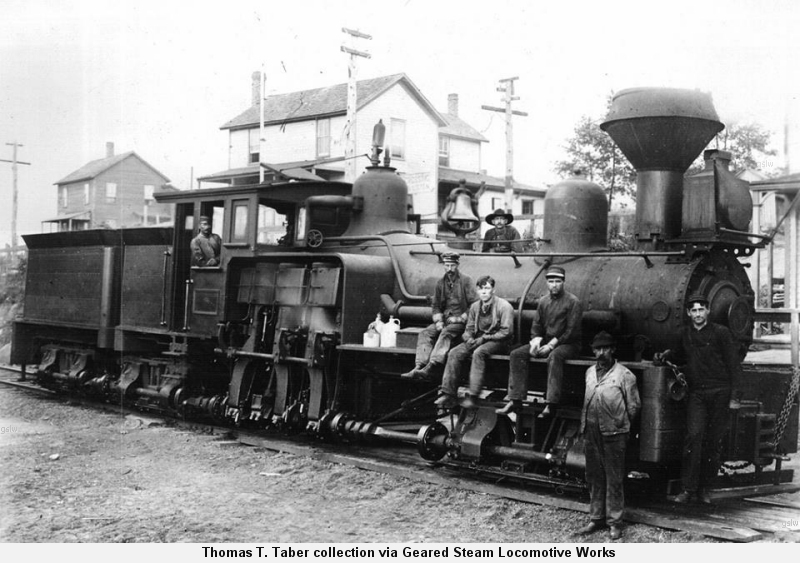 The company was a dealer and rebuilder of railroad equipment.